Are you planning a home extension? There are some tips to keep in mind if you’d rather handle it yourself. 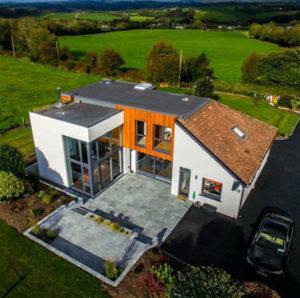 Below are some quick pointers to keep in mind before you start any house extensions in Cork. If you don’t get all your questions answered or you’re simply looking for professional advice, we’re very open to helping. We’ve decades of combined experience working with the best (and rescuing extensions made by the worst) in the industry. Before starting out it’s important to be clear on your budget. You’ll need to assess the total potential costs, factoring in planning fees, design fees, insurance, material costs, labour and other factors. The following areas will influence the total cost. 2. Does your home extension need planning permission? You must adhere to all building regulations, but not all home extensions need planning permission. Roughly speaking, any extension with less than 40sqm, and under 3-metres in height may be exempt from planning permission. If you have any doubt, ask for a Section 5 Declaration Form from Cork City Council, or a Certificate of Lawful Development to ensure that you don’t need planning permission. The design needs to factor in the kind of sunlight exposure you want, elevation, and the existing structure. You must also consider the site and the existing house. You might need an architectural designer for the house design, and potentially a structural engineer to assess the correct construction materials. Additionally, you may want someone to assess the building energy rating. To Manage Your Budget, identify as many windows, doors, tiles and appliances as you can. Finding the right products for your space, within your budget, and crucially, with a good provider, can be a time-consuming and stressful ordeal. But it’s better to get started earlier. It might be hard shopping around now, but it’ll help you avoid the pain of selecting the wrong suppliers and having to contend with delays or re-orders for poorly installed or damaged fittings. The sooner you start shopping around the better. The best way to get an accurate price for your home extension is to have as many finishes listed as you can in advance. Otherwise, you’re at risk of ‘cost creep’. Ground-level porches under 5sqm around an external door (even then, the porch’s glazing must comply with Part 5 of the Regulations). Detached garages under thirty square metres composed of non-flammable materials. Ensure that your insurance isn’t going to expire during the building of the home extension. Also, check if you can get an insurance extension during construction. If you hire a contractor to manage the build, ensure that their insurance covers both public liability and employer’s liability. If you’re undecided about whether to handle the build yourself, please give us a call on 021-2348095. We’re always happy to help. If you’d like to read more about how we can help you renovate your home.